If everyone who has an unwanted, rusty old boat would only give it away through our Arizona boat donations program, there would probably be zero incidences of homelessness, unemployment, and unaddressed mental illness among the veterans living in the state. 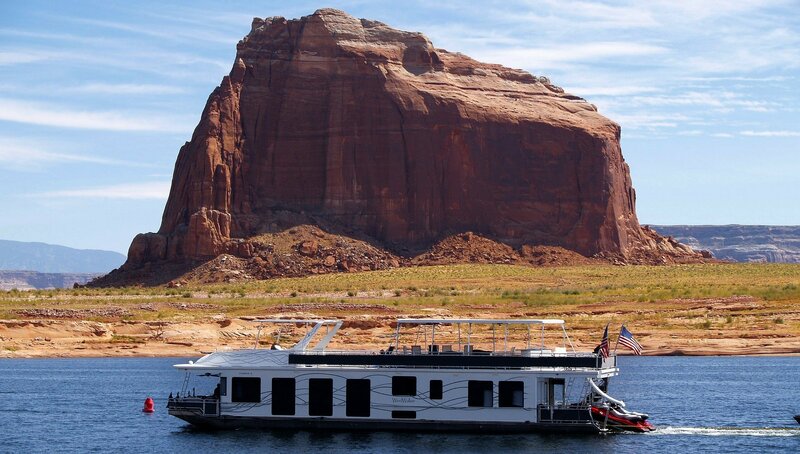 If you’re one of those who have a relic of a vessel that you’d want to get rid of, then we’re here to encourage you to go for the option that would give you convenience at its best with no financial exposure whatsoever – Arizona boat donations. Put an end to your misery as well as the misery of thousands of veterans across the state by donating your boat today. Out of the 7,016,270 residents living in the state of Arizona, 497,337 of them are former military servicemen and women. This is according to the data released by the United States Census Bureau as of July 2017. For us at Veteran Car Donations, the sight of a veteran who’s living on the streets of the country he fought for is unbearable. That’s why we tirelessly work with our certified 501(c)3 non-profit partners to promote the welfare of our nation’s heroes. Our part is to raise the money through Arizona boat donations while our charity partners’ role is to carry out the services that we provide funding for. Public awareness campaigns on the needs of our veterans. When you participate in Arizona boat donations, you can help sustain and improve the quality of these programs and services. Why wait another day to make a huge difference? Donate your unwanted boat by calling 877-594-5822 today! Quick and painless donation process! You don’t have to break a sweat when you go through our donation process because it’s insanely easy to do! You can finish it in less than a few minutes! We pick up boat donations from any point in the Arizona. You won’t have to worry about towing charges because we got this covered. Your presence isn’t even needed when we haul your boat away! Let our title experts do the dirty work for you! We’ll handle everything from the transfer of ownership to the issuance of your tax deduction receipt! Quit paying for maintenance and repair! You can finally knock off this item on your list of expenses! No need to sell your boat! Relieve yourself from the stress of trying to sell your old boat! When you donate your vessel, you won’t have to run ads, meet with potential buyers, or haggle with them. Donating through our service entitles you to substantial tax deductions because we work with IRS-registered 501(c)3 nonprofit organizations. You can reduce your taxable income when you itemize your taxes using the tax-deductible receipt that we’ll send you after we sell your vessel! The amount that will be deducted from your taxes will be based on the final selling price of your boat or its fair market value, whichever is greater under certain conditions. It all starts with you filling out our online donation form or calling us at 877-594-5822 to give us your contact details and your boat’s year, make, model and location for pickup. Have your boat hauled away for free! After verifying your given information, we’ll arrange for a local professional company to pick up your boat at your most convenient time and date or within one or two business days – free of charge! You’ll receive a towing receipt on the day of pickup which would release you from all liability from that point forward. Our insurance coverage will automatically apply to your donated boat the moment we tow it away. Within 30 days from the date of your boat’s sale at auction, we’ll send you a 100-percent tax-deductible sales receipt by mail. You can use this when you itemize your deductions in filing your federal income tax return. Your boat donation will go a long way. It would make a lasting impact in Arizona’s veteran community. There’s not a minute to waste. Call us at 877-594-5822 and help keep our veterans afloat amid a sea of woes with your Arizona boat donations!